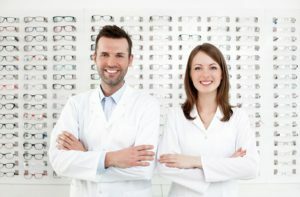 The purpose of the Opticians Association of Virginia is to advance the skillful practice of Opticianry for the safety and welfare of the people of Virginia, by representing, educating and serving all Opticians. The OAV will be the public’s expert and educator on vision and vision issues. We will be recognized with respect by Virginia lawmakers and provide our members voice, serving as the optical clearinghouse and network for Virginia opticians, as well as fostering collaboration with other Virginia ophthalmic practitioners. The Board of the OAV is a group of volunteer professionals who give their time and expertise to serve the needs of opticians throughout the state. They work throughout the year creating opportunities for members to further their knowledge and skills to professionally serve all Virginians. The Bylaws of the Opticians Association of Virginia, Inc. establishes a set of rules by which the Association is governed as a not-for-profit organization. Establish a Board of Directors. Establish how the Board of Directors is elected by membership. The Bylaws of the OAV may be amended from time to time as deemed necessary by a vote of the Board of Directors. Active Membership in OAV is open to Licensed Opticians, Optical Students and anyone with an interest in Opticianry in Virginia.